An exquisite collection of concept sketches, concept art, film stills and more from the classic Studio Ghibli film by Hiromasa Yonebayashi. The Secret World of Arrietty is a beautifully rendered, 2D animation movie about a family of Borrowers, little people living beneath the floorboards of an old mansion. All is going well until their daughter, Arrietty, is seen by a human boy. 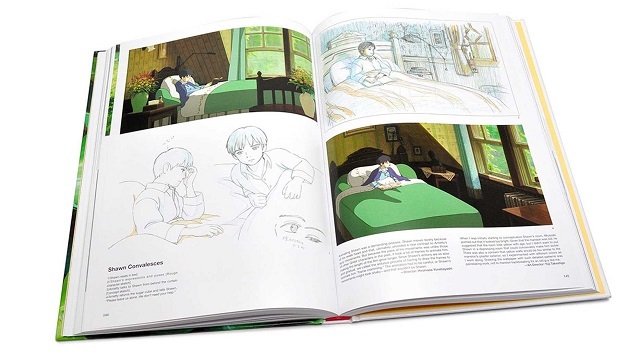 Studio Ghibli's full color art book offers an exquisite collection of concept sketches, concept art, backgrounds, character sketches and design, and film stills. The book moves us beautifully through the movie, following the story of Arrietty from pre-production through production. The interview with director Hiromasa Yonebayashi and his many comments throughout the book are insightful as he discusses his vision and the movie's journey to its final state. His comments are also refreshingly honest, revealing moments of doubt or indecision and giving recognition where due. The interviews with the two art directors, Yoji Takeshige and Noboru Yoshida, are equally informative, shedding light on how the two worlds were imagined and created, and how they were brought to life through color, texture, and scale. The hand drawn and hand painted art of Arrietty is exquisite and it shows how much thought and care went into developing the story, characters, and worlds. The interviews and comments nicely complement the beautiful artwork, allowing the sketches and designs to take center-stage. As a non-Japanese script reader, I would have enjoyed translations of the sketch notes. The image captions do a good job of identifying or commenting on the artwork, however, I wonder if there's more to learn from the notes. The book is a quality production that rests at 248 pages: 208 pages of beautiful artwork and discussion, plus an additional 40 pages for the complete voice-over script, music lyrics, and credits. 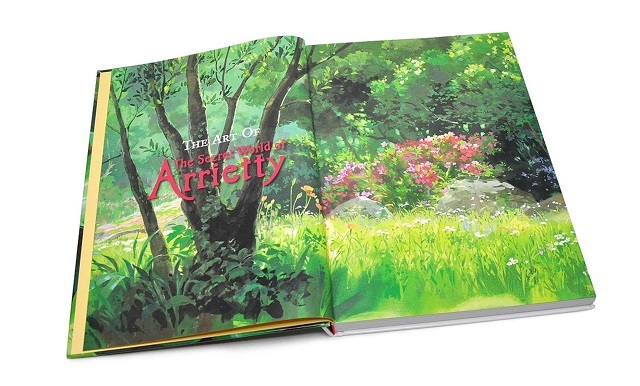 Arrietty fans and admirers of 2D animation will get much enjoyment from this book and it will make a great addition to your art book collection. If you have not yet seen the movie, I recommend that you treat yourself to an entrancing, intimate adventure movie about trust, friendship, and survival.